As they paraded in quiet contemplation. Piano keys, billiard balls, and minor objects of decorative value. No matter what got lost in the process. Built to keep us simultaneously out and in. Joyfully race them to the watering hole. And that they are simply running away. African elephants at a watering hole in Etosha National Park, Namibia. This poem is inspired by recent research which has found that wildlife tourism may negatively affect African elephants’ behaviour. Whilst there has been a large amount of research into the effect of tourism on local wildlife populations, less work has been conducted into non‐consumptive wildlife tourism, i.e. tourism where no direct interactions between animals and humans take place. One of the most popular types of non‐consumptive wildlife tourism is elephant watching, but its effect on local elephant populations has not previously been studied in depth. 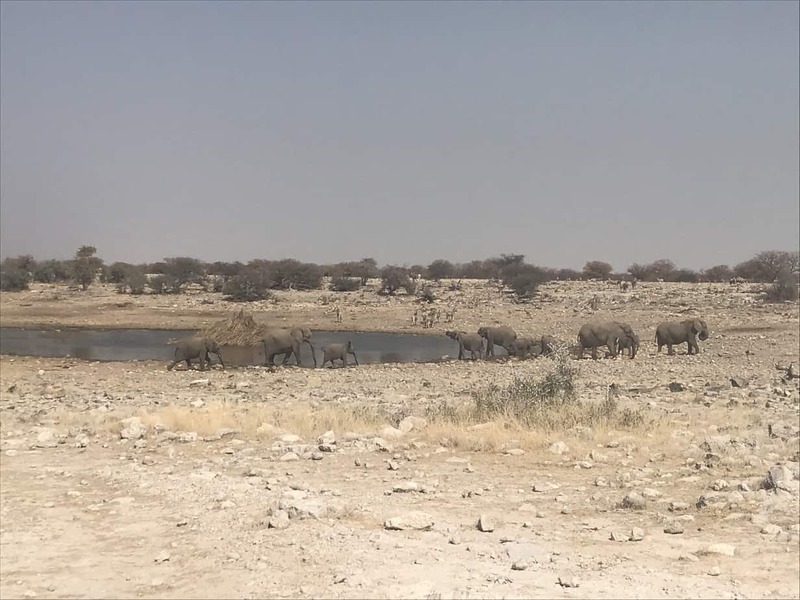 In this new study, researchers observed elephants in the Madikwe Game Reserve in South Africa over a period of 15 months, recording the behaviour of elephants in relation to the overall number of tourists. They found that when the number of tourists was high the elephants were more likely to act aggressively towards one another. They also found that herds of elephants were more likely to move away from the tourists when many vehicles were present. Whilst this form of wildlife watching is undoubtedly better for elephant welfare than tourism that involves humans riding on the backs of elephants, this research has shown that it is not without its concerns. This research has also highlighted the need for game reserves to monitor elephant behaviour in relation to tourist pressure so that high welfare standards for the elephants and safety for the tourists may both be maintained.